A Halloween pop-up book with flaps and friendly pop-up surprises to engage toddlers and help them join in the holiday fun through hands-on learning. Little ones can help find Little Black Cat and her friends hiding under the flaps with Pop-up Peekaboo Pumpkin, a playful Halloween pop-up book that has fun rhymes, five large flaps, and five friendly pop-up surprises that toddlers will love to discover again and again. While the flaps promote hands-on learning, the simple rhyming text encourages little ones to use their imagination and guess which friendly Halloween character is hiding next. As they lift the flaps to find out, they will surely be delighted and say, "Peeka… BOO!" 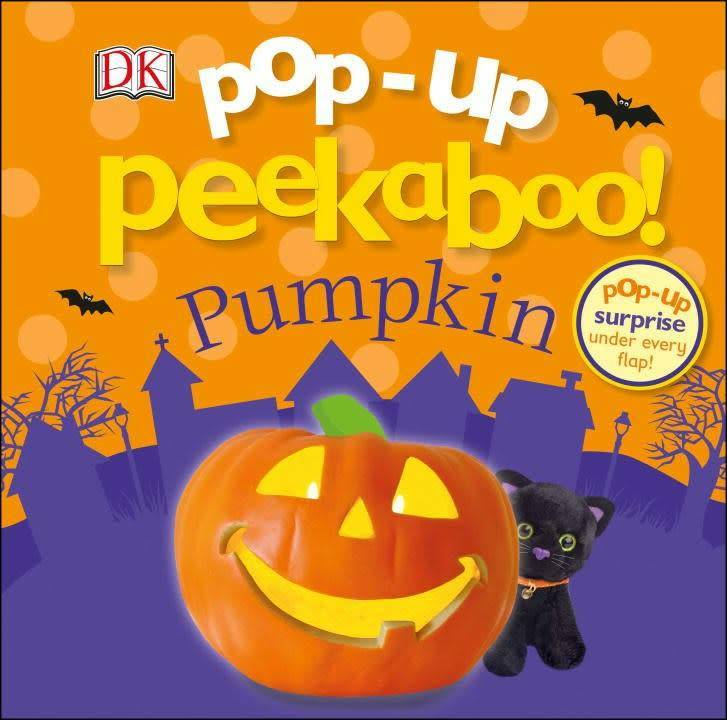 Series Overview: With a pop-up surprise under every flap, the books in DK's Pop-up Peekaboo series help develop memory and imagination, and encourage hands-on play. Children and parents will enjoy the rhyming text and hide-and-seek surprises over and over again and meet lots of new characters along the way.